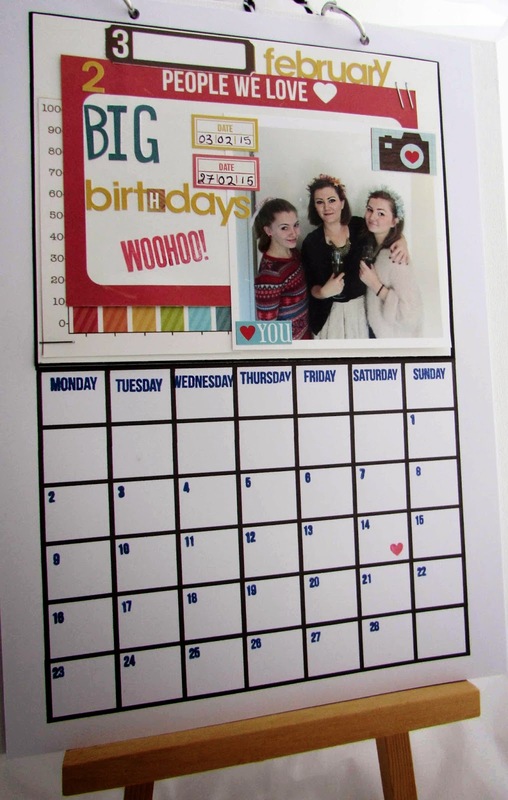 It's my turn again to show my calendar page and this one is for February. 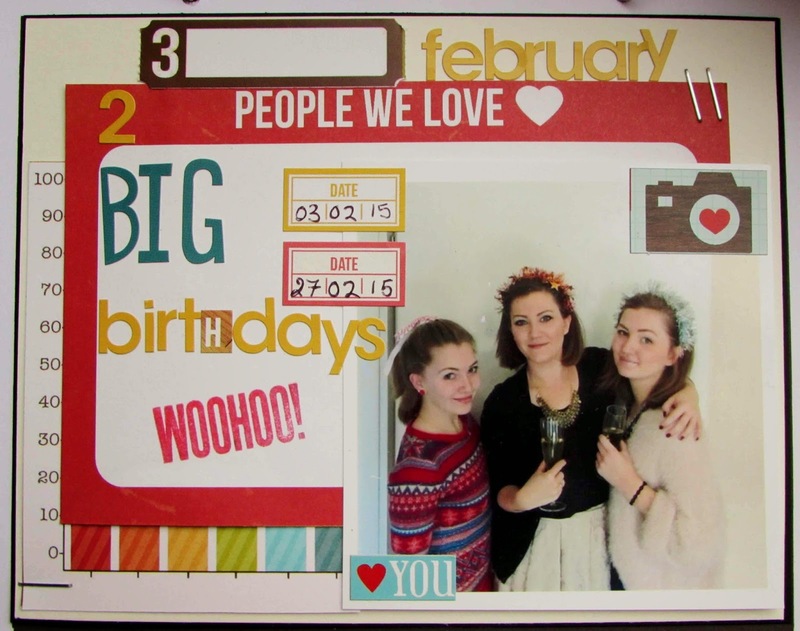 Two of my girls have a birthday in February so I wanted to create February's page using a photo in a scrapbook style. I turned to some of my pocket page supplies to put it together and I'm pleased with how it looks. I'll be mixing photo pages and journal pages as I go along depending on what the month means to me.